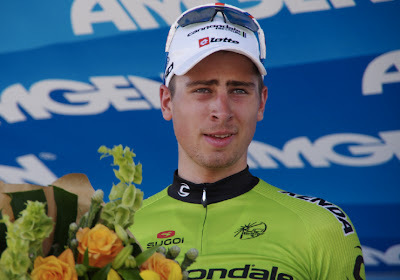 Peter Sagan showed his amazing strength as he maneuvered his way around the other riders in a full sprint in front of him, gradually moving far right, he deftly passed them all to win Stage 3. 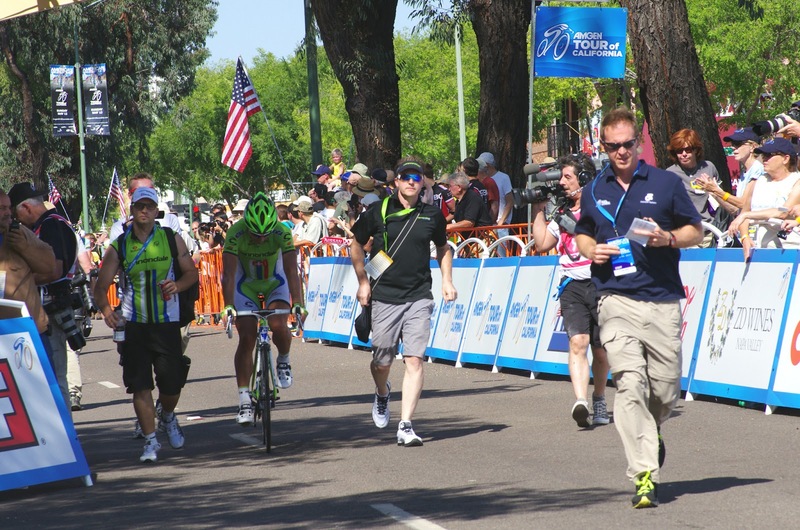 It was a classic sprint finish, one that should have been, and was, rewound several times and viewed over and over to catch the instinctual movements of Sagan through the pack. A sprint finish remains one of the most thrilling events to watch in sports. 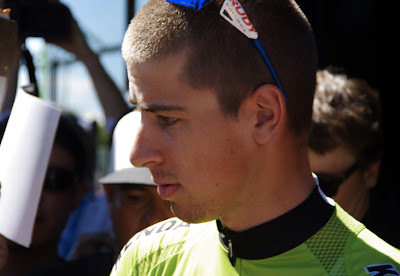 At the ATOC Press Conference after the stage, Peter Sagan said, "This win is for Mauro Da Dalto who was transported to the hospital after yesterday's stage. 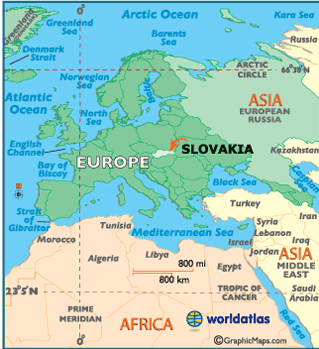 This victory is for him." 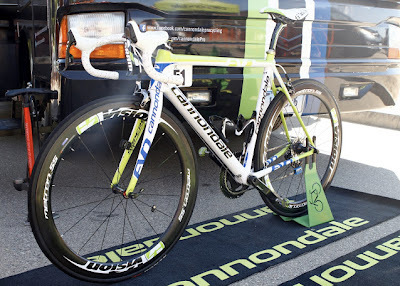 The Italian rider is a Cannondale teammate and friend of Sagan's, who withdrew from the race after suffering heat-stroke at the end of Stage 2 on Monday and being transferred to hospital. 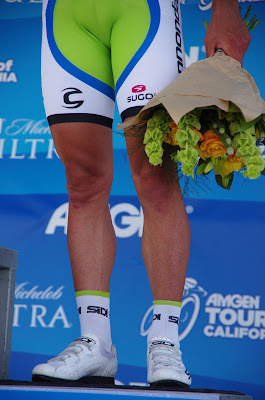 This is Peter Sagan's fourth year of competing in the Tour of California and his 9th stage win. The General Classification remains the same after Stage 3, with no changes in the order. Two big-time trial power-houses abandoned today and will be missed at the Individual Time Trial in San Jose on Friday - Tom Zirbel (Optum Kelly Benefit Strategies) and Bert Grabsch (Omega Pharma-Quickstep) are out of the race. 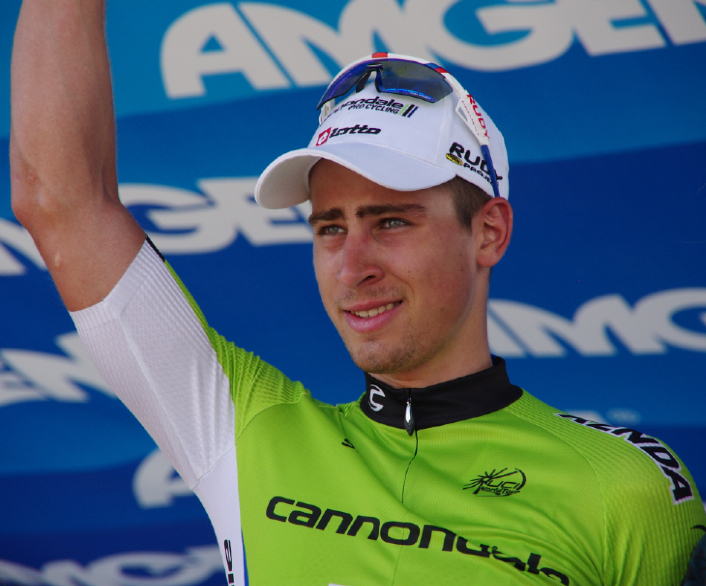 Peter Sagan is from Slovakia, age 23, he turned pro in 2009 and is the current Slovakian National Champion Road. 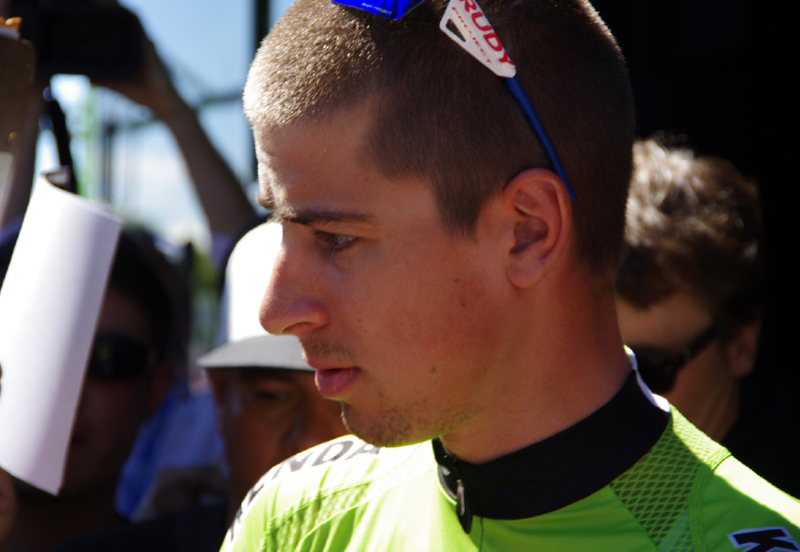 Also read a previous Pedal Dancer post: Who is Peter Sagan?